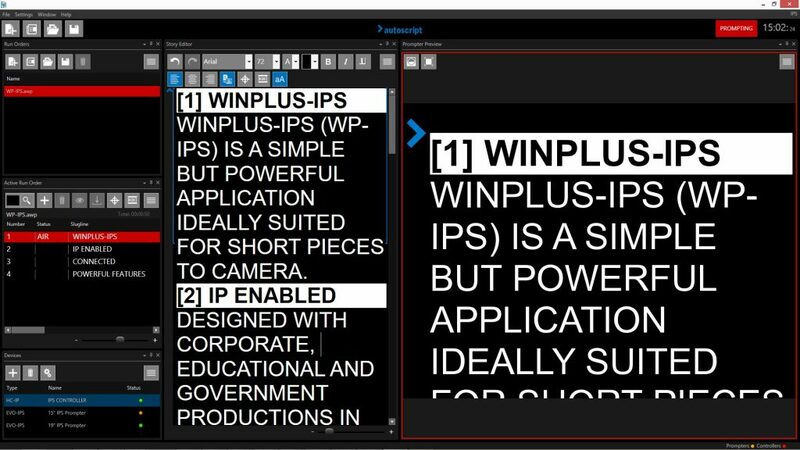 WinPlus-IPS (WP-IPS) is a simple but powerful application ideally suited for single operator productions. 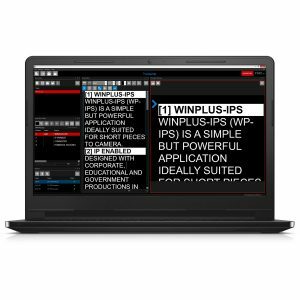 Designed with corporate, educational and government productions in mind, the software employs many of the features of WinPlus-IP, including the modern customisable user interface, super smooth scroll preview and live script editing. 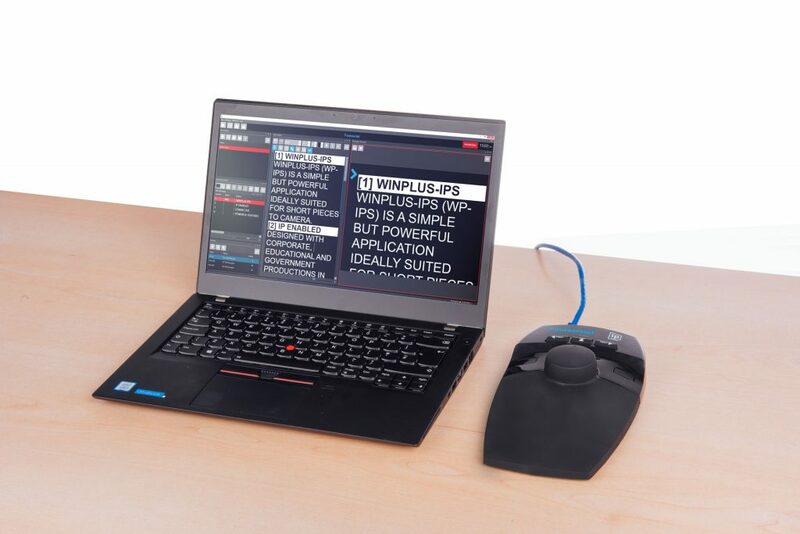 WinPlus-IPS will connect over an IP network to a single controller. An HC-IP desktop hand control is supplied with the software, and optional foot and wireless hand controllers are also compatible. Any number of EVO-IPS monitors and XBox-IP scroll engines can be connected. The device status tool enables monitoring and management of the devices, including firmware updates and configuration of EVO-IPS monitors. Customisable user interface allows operators to define the layout and colour of the application, and pin content tiles to sidebar when not required.